The 2015 NZ Freestyle Kayaking National Championships and NZ freestyle kayak team selections are going to be held on the 7th & 8th of March, 2015 at the Hawea Whitewater Park near Wanaka. This an extremely important year for freestyle kayaking with the World Championships being held on the famous Garburator wave on the Ottawa River, Canada. Come join in the freestyle action on the Hawea River over the 7th & 8th of March, free event singlets and BBQ lunches for athletes. Thanks to our generous sponsors Rochfort Paddles, Rasdex, Cumec Magazine, Paradiso Cinema and Up The Creek Kayaks we have some fantastic giveaways be there to get yours! Entry Fee: $50:00 Non NZFKA members. To be paid upon check in at the event. 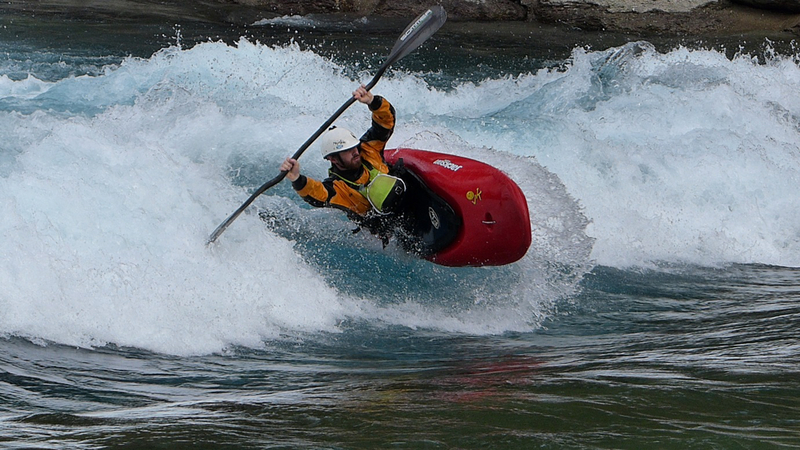 This entry was posted in Events and tagged 2015 National Championships, Freestyle, Hawea Whitewater Park by nzfks. Bookmark the permalink.